Certified Naturally Grown vegetables. Organic, Naturally Leavened Bread. ~Chesterfield, VA.
Folks, it feels a little like February. And we haven’t hit the Ides of November yet. We have seen the lower 20’s here the past two mornings. That does not allow the nightshades (tomatoes, peppers) to stay alive in our high tunnel. 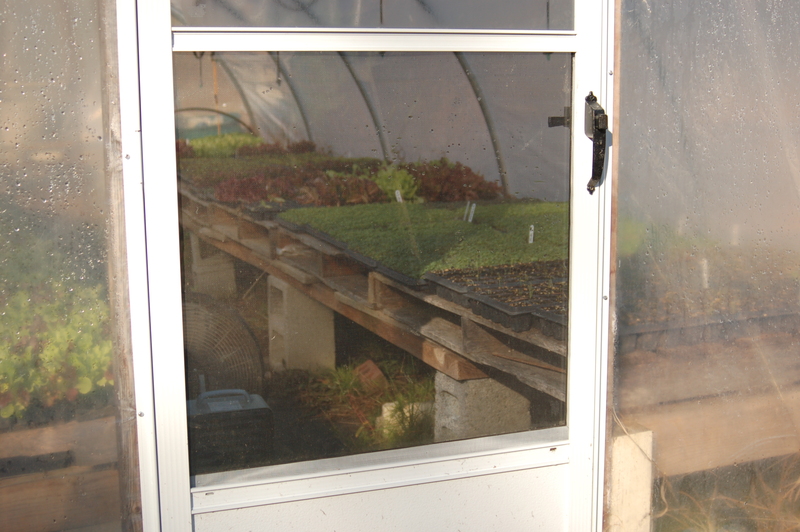 It does not allow our lettuces to stay happy outside. So, there has been some scrambling here this week. Tomatoes and peppers were completely picked out of the high tunnel. We don’t chill our tomatoes, so they took over our house. The peppers went in the walk in cooler, which then has to be heated, actually, to make it be 40 inside when it’s 20 outside. 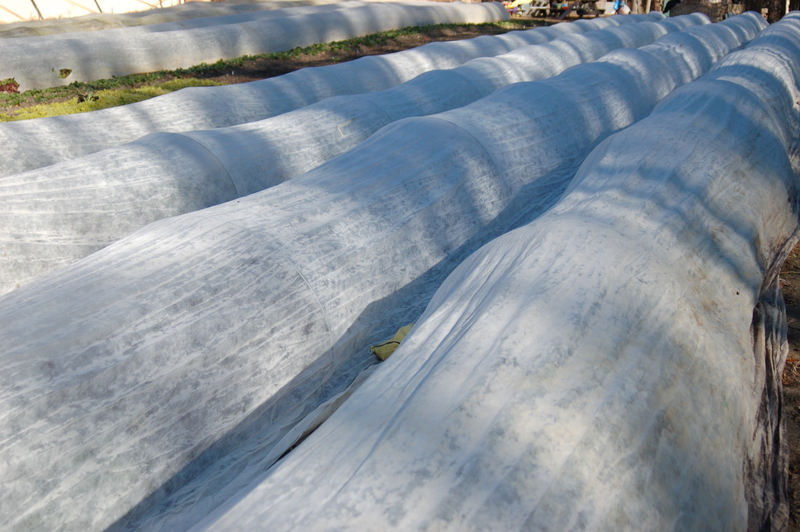 Lettuces outside were covered with row fabric, so it looks like a white snowscape around our house (sort of). 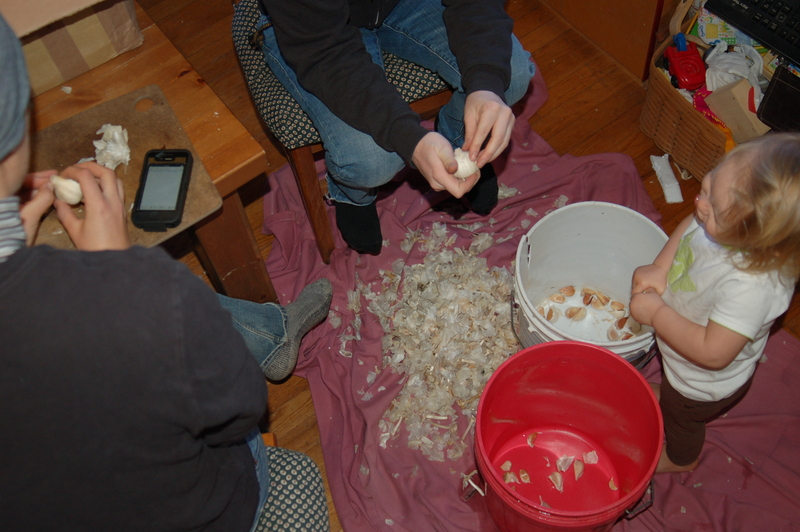 And cabbages (that can’t justify getting row cover) were all cut and put in the walk-in cooler. Whew! Tender greens growing in the high tunnels aren’t ready yet, so we may have a little pause soon, after all that has or can be harvested is gone and before the new round of greens are ready from the high tunnels. So, Market Share CSA members: order (or stop by the self-serve farm stand) this week and next! Think Salsa Verde and multiple variations of cole slaw. Stuffed Peppers are also recommended, as we picked big, round beauties out of the high tunnel before Mr. Winter arrived a little early. 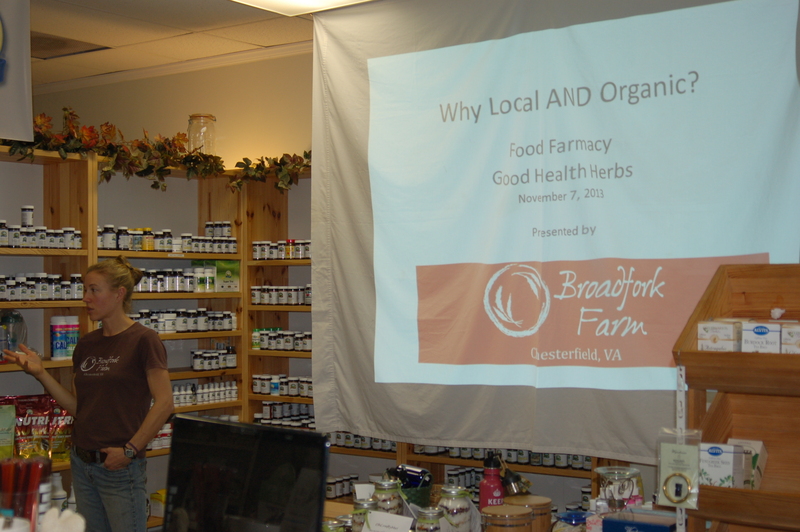 And – our thanks go out to all who attended the classes we taught at Good Health Herbs over the past week. We all learned something new and had a great time. Stay tuned for more in the future. Market Share CSA Members: Remember that your account balance expires at the end of 2013, and our fields’ inventory is diminishing! If you have a significant balance remaining, please be sure to order now. Our Farm Share Bag (consisting of the items in the Farm Share this week, in one easy to order option), Asian Greens (Hon Tsai Tai, Tokyo Bekana), Broccoli, Chard, Chinese Cabbage, “Regular” Cabbage, Cilantro, Collards, Endive, Hearty Mix, Kale, Lettuce, Peppers (Bell & Jalapeno), Raab, Radish (rose or sweet giant), Salad Mix, Tomatoes (a few red, a lot of green! ), Turnips (Hakurei). Special Plus: You may pre-order our bread for pick up at the farm on Thanksgiving morning for you to enjoy with your holiday meal. Market Share CSA Members: Choose your selection through our Online Store. Everyone else: Everything on our tables at the farmers’ market is available for you to purchase and enjoy. Please do! Recipe Page of our website has the following suggestions: Salsa Verde (for eating fresh or canning), Asian Slaw, Traditional Slaw, Roasted Broccoli, Kimchi, and more.